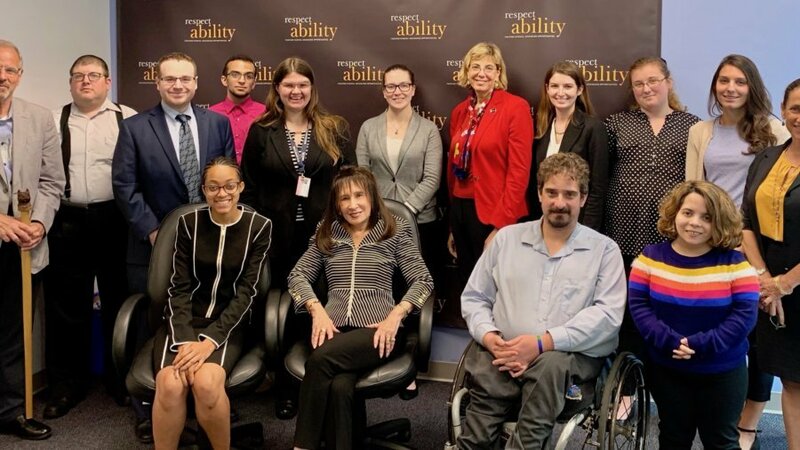 Rockville, Maryland, Oct. 8 – After a successful career of more than 40 years as a nonprofit CEO, Vivian Bass, currently a board member of RespectAbility, visited the Fellows of RespectAbility’s National Leadership Program. She shared her knowledge about nonprofit boards and gave advice on how to build better relationships between staff and board members. 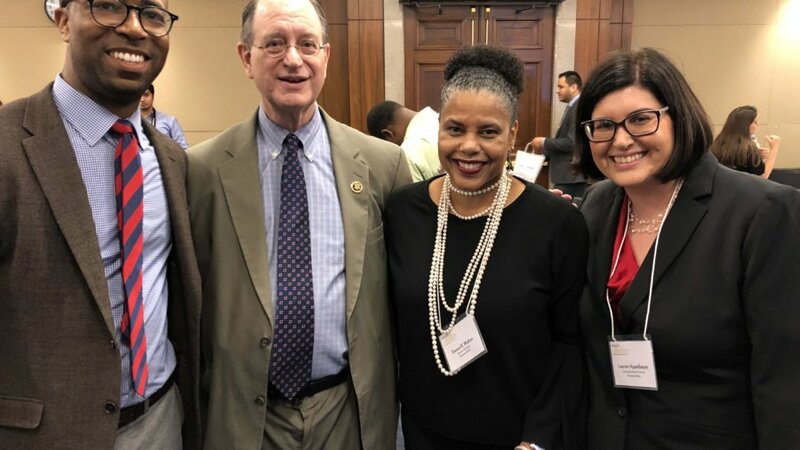 Washington, D.C., Sept. 17 – When entertainment heavyweights convened at an annual disability advocacy summit this summer, they stressed the role of film and television in building understanding between communities by shattering prejudices of disability. 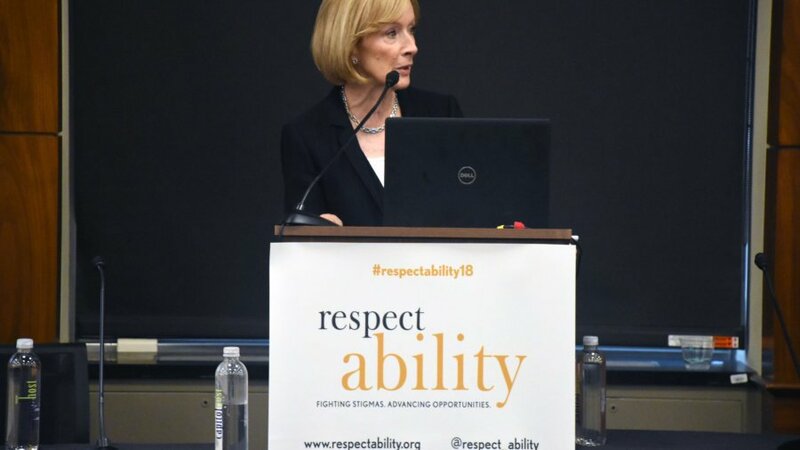 The summit was sponsored by RespectAbility, a national nonprofit organization fighting stigmas and advancing opportunities for people with disabilities. The event consisted of panels on education, employment, media representation and intersectionality. 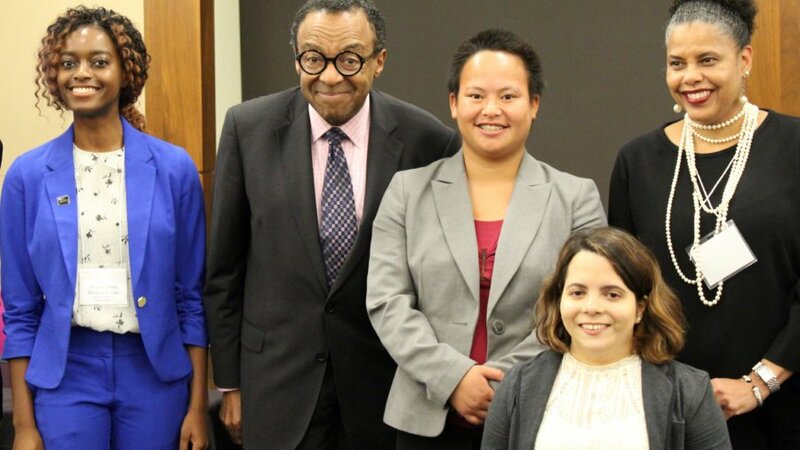 Murray serves on the board of directors for RespectAbility. Murray fights implicit bias through film and television “by introducing viewers to worlds and people they don’t know. By focusing on love, compassion, and empathy. By celebrating differences rather than fearing them.” Murray invites his audiences into worlds that are foreign to them. He asks his audience to simply appreciate their similarities, yet understanding someone who is different is a struggle in and of itself. Murray led the audience to wonder: what are the challenges of understanding or loving someone who is different? Among disability circles, Murray is known for creating Emmy-winning Born This Way, a documentary-style reality television show that follows the lives of seven young adults with Down syndrome as they learn to live independently, find employment and fall in love. His newest television effort, the special, Deaf Out Loud will premiere on Sept. 12 on A&E Network. Panelists at the event on Capitol Hill, included Andrew Solomon and Rachel Dretzin, writer and filmmaker who cinematized Solomon’s nine-hundred-sixty-two-page book Far From the Tree into a one-hour-and-thirty-minute documentary; Senior Vice President of Community and Family Engagement at Sesame Workshop, Jeanette Betancourt; and award-winning producer, filmmaker, writer, and activist, Crystal Emery. Premiered in 2017, Far From the Tree explores the challenge of parents embracing their children’s differences. “Everyone, even people whose children aren’t as dramatically different as children, sometimes feel alien and foreign,” said Solomon. Eager to find more answers, Solomon went into the deaf community and found their struggle with conformity similar to his own experience as a gay man. “Everyone has an ongoing need to figure out how to love children who aren’t what they imagined when they set out to have children,” Solomon said. With the multitude of ideas that are raised in Solomon’s book, one might recognize the challenge of putting together a film that captures the essence of Solomon’s 800-page book. For Dretzin, it was no simple feat. “The film tries to distill the very special spirit of the book and perspective of the book into an extremely different medium,” she said. In her more than fifteen years career as a documentary filmmaker, Dretzin never had produced a film that focused on disability. Despite what might have been hesitation, Dretzin contacted Solomon through email and proposed making a movie out of his book. “I was seized with the desire to turn it into a film in part because the stories in the book and there are about 300 of them, are extremely cinematic in particular many ways, and also because it is a book about sort of about the challenges and difficulties of love and about the ways in which love prevails,” she said. Through working with Solomon, Dretzin has showed audiences that love trumps our preconceptions of disability. Award-winning producer, filmmaker, writer, and activist, Emery also challenges prejudice in America through her filmmaking. Her most recent film Black Women in Medicine gives audiences insight into the lives of black women in medicine whose work is less credited than that of men. What Emery believes sets back her career even more as a filmmaker is that in addition to being a black woman, Emery is a quadriplegic. But Emery has not let that define her. It is important to include children’s television in this conversation as well, as a child’s mind forms implicit bias by the age of seven. Senior Vice President of Community and Family Engagement at Sesame Workshop, Jeanette Betancourt addressed the profound impression that television can leave on children’s minds. As a community of brilliant thinkers, people with disabilities are capable of transforming minds. Through film and television, entertainment leaders have the opportunity to expose audiences to our experiences. 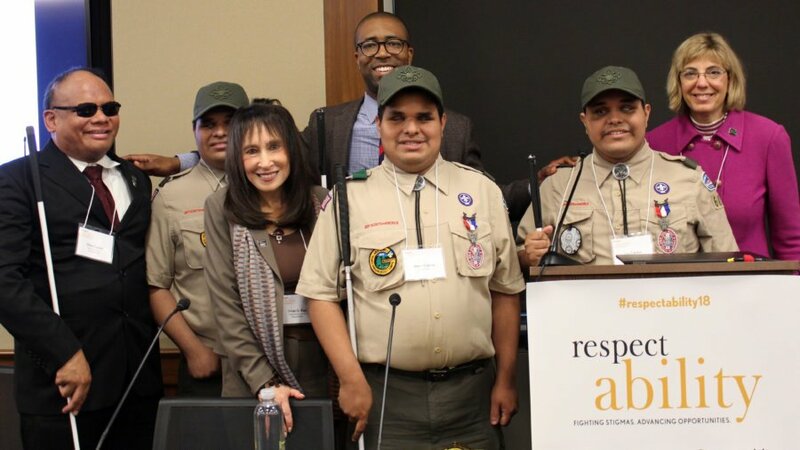 That was the closing note of Kenneth Marcus’s speech at RespectAbility’s annual summit focused on the future of people with disabilities. “There are many different ways that you can be of public service,” he added. 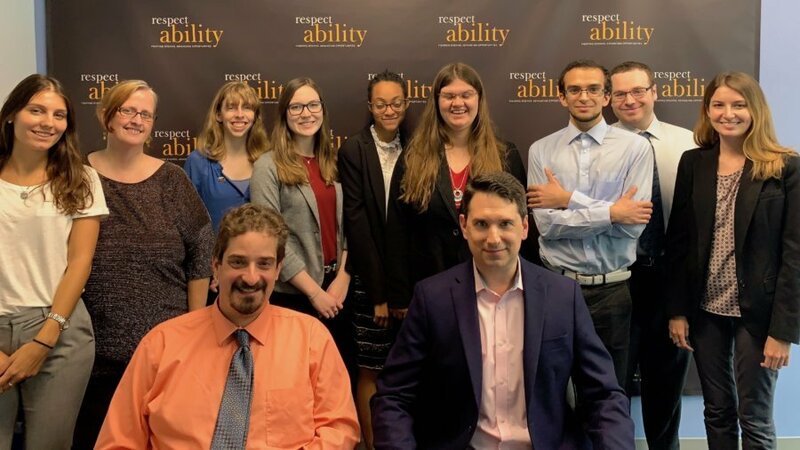 Washington, D.C., Sept. 5 – When it comes to disability advocacy, reducing stigma and changing public opinion are very important. Just as significant and crucial is an aspect of daily minutiae that is less often acknowledged. 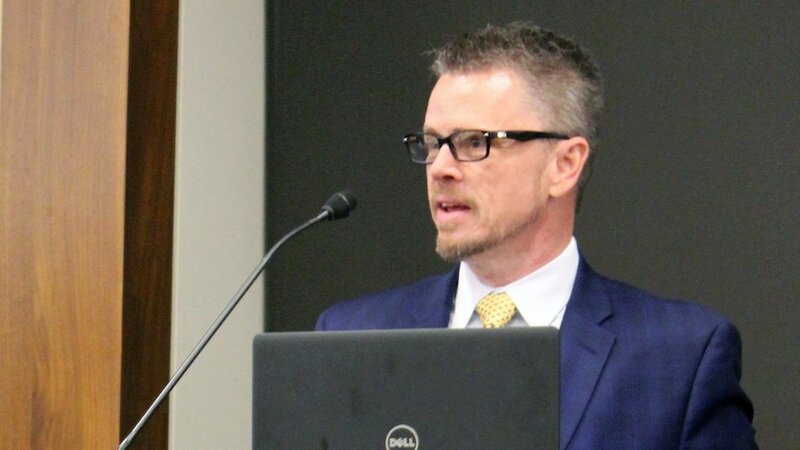 Few know this better than Johnny Collett, the Assistant Secretary for Special Education and Rehabilitation Services at the United States Department of Education. Collett called for both having high expectations for students and for not putting up with adults who do not cooperate to help the students, stressing the need for not only keeping expectations high but also collaboration among all providers and advocates. 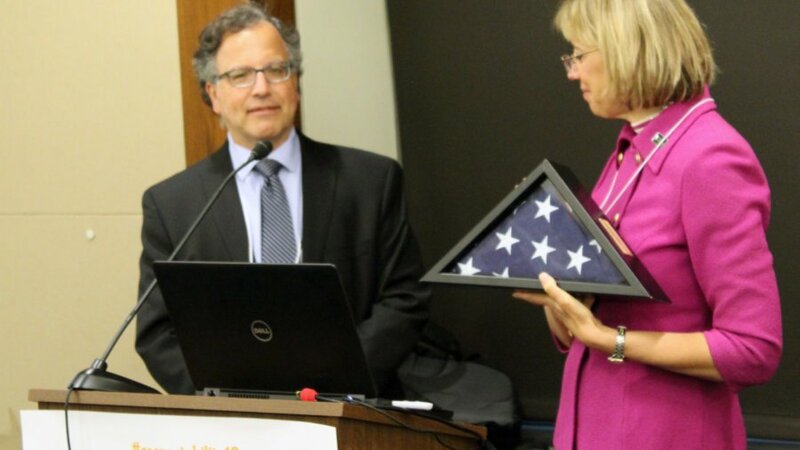 Washington D.C., Sept. 4 – “I accept this award on behalf of, especially, our son Jeffrey, who to me is someone who goes through life with the kind of courage I only wish I could possess,” PBS NewsHour’s Judy Woodruff said while accepting a flag flown over the U.S. Capitol in her honor. Washington D.C., Sept. 4 – “I am more than just one leg. I am a woman. And I am a woman with a disability. Standing forthright in power unapologetically. So, when I show up, I show up authentically. 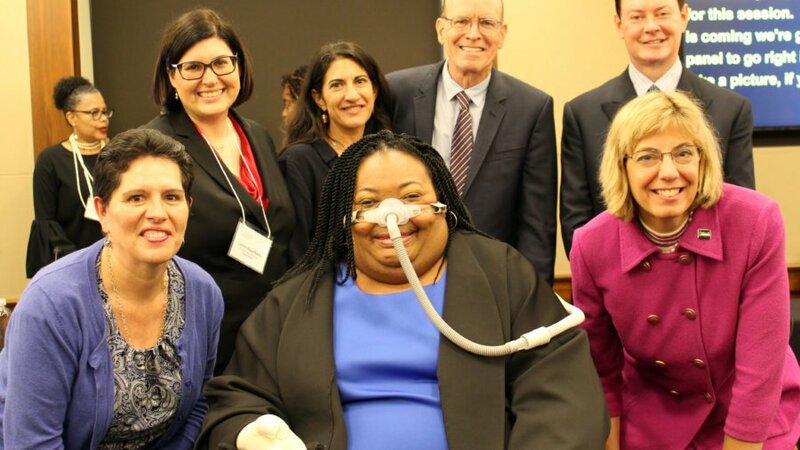 In that space, consistently,” expressed Donna R. Walton, the moderator, as she opened a panel on intersectionality at a daylong summit on the future of Americans with disabilities. 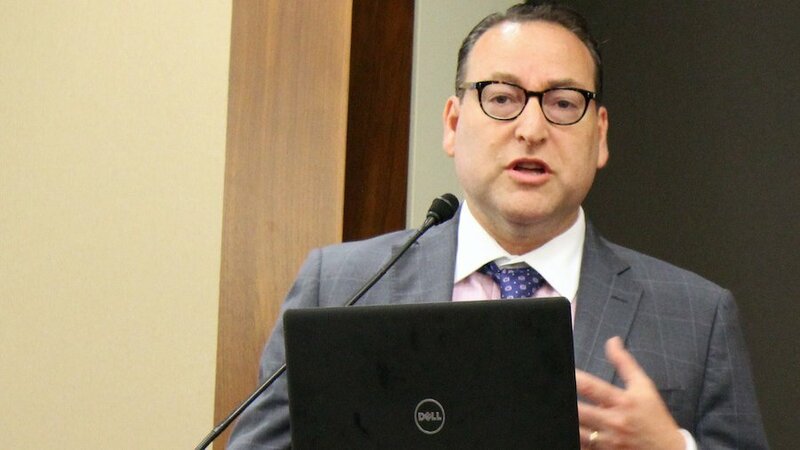 Washington D.C., Sept. 4 – Joe Shapiro has been working in journalism since the 1970s—but his expertise has never stopped him from going out and chasing a story. “We don’t sit in big offices with assistants. We’re doing it ourselves,” Shapiro said.